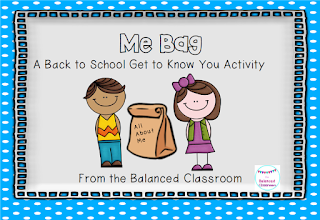 Click on the picture to download the Me Bag activity for free. My blog premise represents the idea that a variety of resources, strategies, and activities is needed to balance out the needs of all learners in the classroom. Visit my blog and sign up for my newsletter to receive my free ebook, A Common Sense Approach to Differentiation.